Stickers There are 3 products. Temporary tattoo sticker. Waterproof, non toxic. 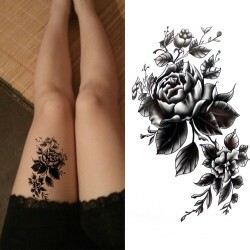 Waterproof temporary tattoo sticker. Size: 10 * 20cm. Please select a type. Temporary tattoo sticker. Waterproof, non toxic. Size: 14.8 * 21cm /5.83'' * 8.27'' Please select a type.